How to Post a Blog on Facebook Page: You can configure Facebook to post your blog content on your fan page. 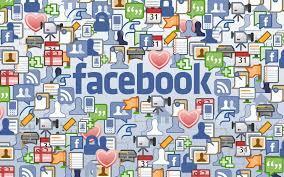 As a Facebook user, you have several options, including plug-ins and free or paid apps, which will allow you to share your blog on your Facebook page. Interestingly, Facebook also comes with a built-in tool, known as Notes, which lets you do the same thing. See: How Do I Add Blogger Posts to My Facebook Wall? 2. Click the page you want to post a blog on. 3. On the page, click on the plus key (+) to add the Notes tab. 4. You'll need to click on the Notes tab and then click Add New Note. 5. A form will display asking you to write a note, all you need do is to click on the Notes icon. This can be located at the top right corner of the form. Once that is done, several of your most recent blog's post will appear on your page wall, and as you publish a brand-new blog post, it will automatically be added.